After a spellbound night under the stars in the Thar Desert, it was time to wrap up camping. 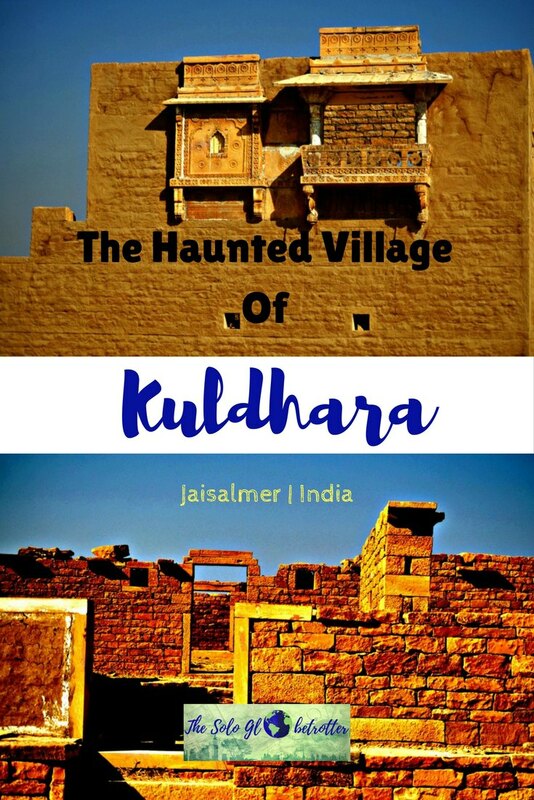 Talking about all the fun about last night and discussing our levels of endurance for cold weather, we were headed to Kuldhara village in Jaisalmer, Rajasthan. The wheels of the jeep creaked as they landed on the highway as if desperately wanting to embrace a well-laid road after haggling between thorn-filled road in the Thar desert. Now, who doesn’t love debating upon spirits or the evil souls? 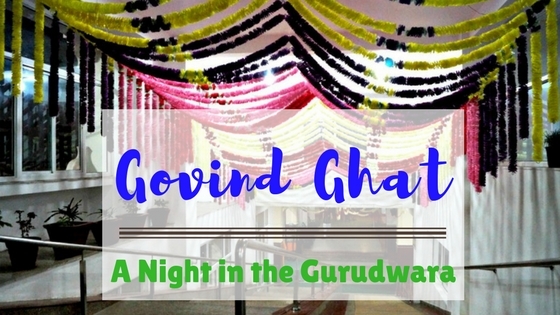 After each gave their varied opinion, he asked us to get ready to ‘meet’ the ghosts in Kuldhara village. I was more excited that I was finally visiting this much-anticipated village. 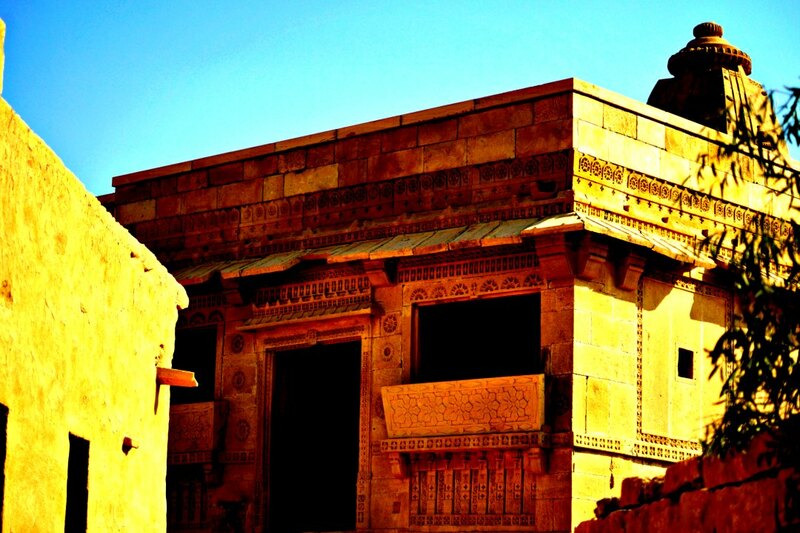 I knew the story and was thus very curious to visit Kuldhara village. 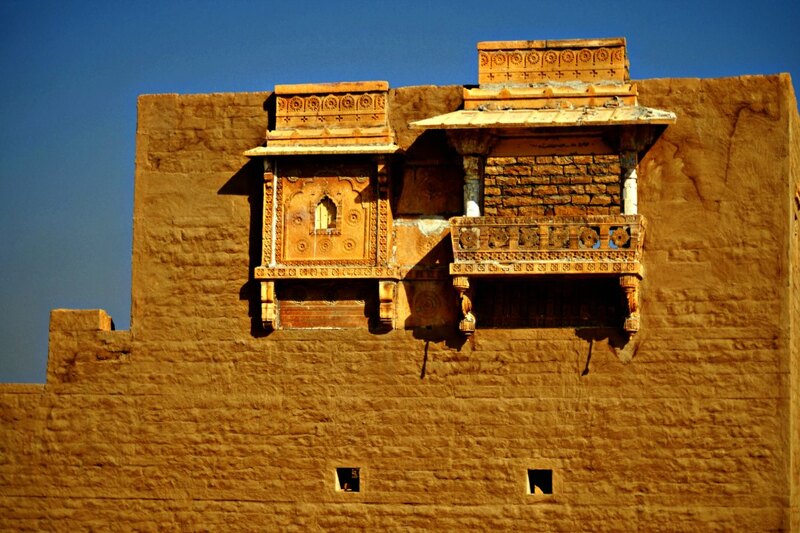 What actually beckons the travelers to Kuldhara Village? A gory past and ruins that emanate an eerie feeling. 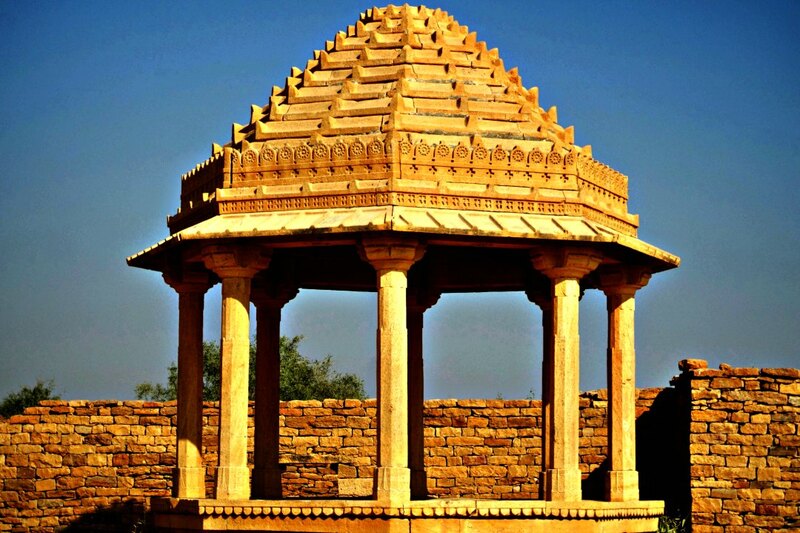 About 200 years ago, Kuldhara village was a prosperous and a peaceful village that was inhabited mostly by Paliwal Brahmins, a respectable sect in the regions of Rajasthan. 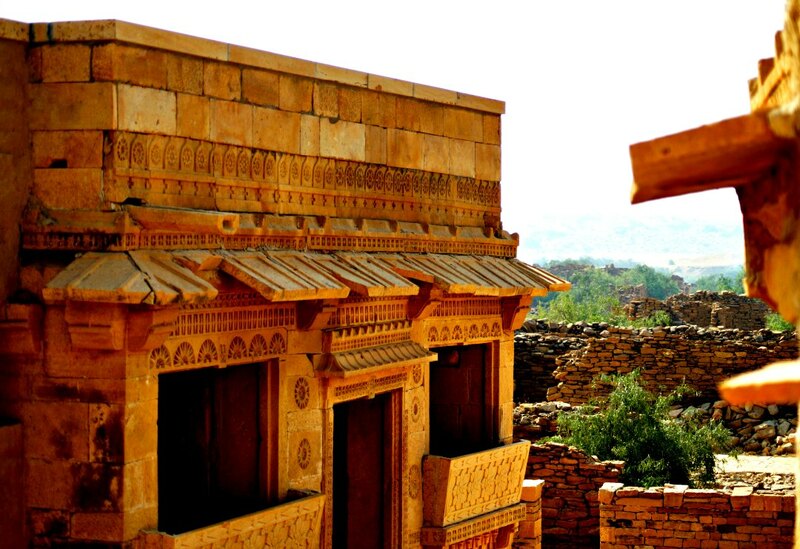 All was well until the local ruler’s eyes fell on the daughter of Kuldhara village’s chief. He asked chief for her daughter’s hand in marriage. He also posed a threat of destroying the entire village if he refused to abide. With a deadline until being a sunrise away and the cruel virtues of the ruler well known, the villagers were in a loss. What happened next is an unsolved mystery until now. 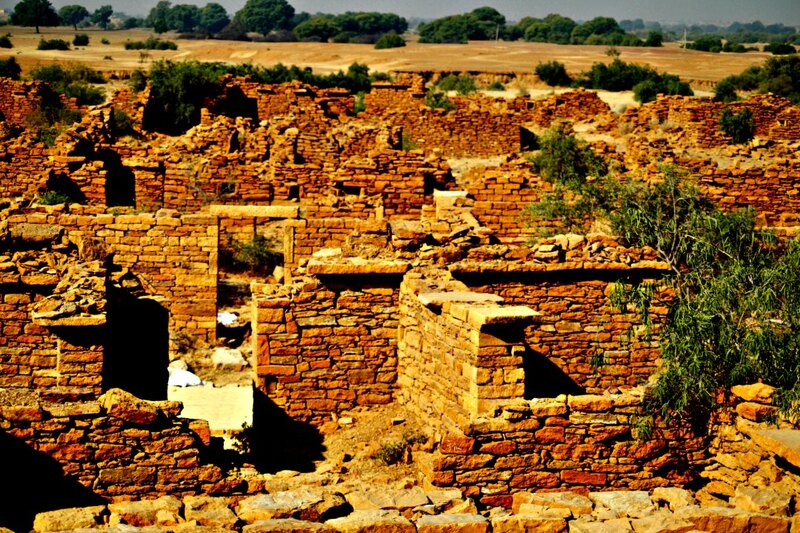 It is said that the entire population including the livestock abandoned Kuldhara village and perished without a trace overnight. The ruler was baffled to see the barren village, and neither could he find a single soul, nor anyone until now are aware of the aftermath of this incident that occurred more than 200 years ago. The villagers left their beloved homes not without inflicting strong curses. Till this day, most locals believe that the spirits of the villagers’ still resides in the ruins. So the village has no inhabitants as people also believe that bad omen may fall upon them. 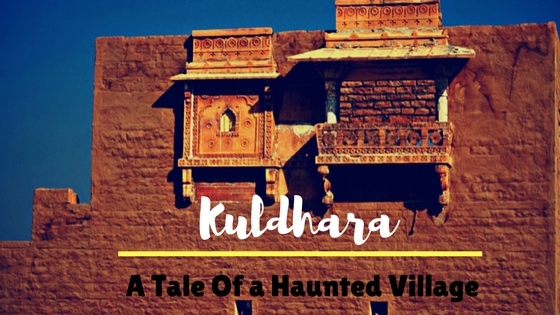 This is how Kuldhara village earned the infamous tag of a haunted place. By the time Dev was done telling this story to the enchanted group, we had made it to the entrance of Kuldhara village. It’s an official tourist attraction today, and a big sign board welcomes you to the ‘haunted’ village. The hot sun looked more threatening than the village itself as I got down to walk. I glanced at the road that was ahead of me, which was flanked by debris and a few signs of vegetation. My mind raced back in time to vividly imagine how the town might have looked. My rational side contemplated about the practical things that might have happened that night, while the emotional me was saddened by the destructive look of the town. I never felt any ‘ghostly’ things, of course. 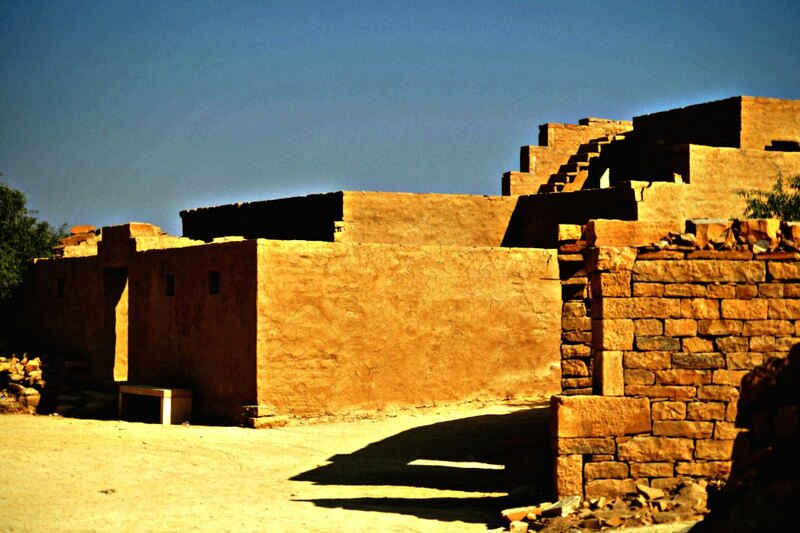 To me, Kuldhara Village looked like a place weighed down by that tragic night. Ghost rather seemed like a metaphor that described village’s gory past. The walls and the rubbles evoked a feeling of melancholy. As I walked through the buildings with no roofs, I imagined how hard it must have been for the people to abandon a place that they called home for years. I slightly shuddered as I imagined the wails of women and children and the burning anger of men echoing across these buildings. The curses seemed befitting to me. A bright smile of a man with a heavy moustache wearing a colourful turban brought me to the present. I greeted him with a smile and asked what he was doing at this forsaken place, also noticing at that instant a few people working on something just beside him. ‘We are rebuilding Kuldhara village,’ he said with the same smile plus a sense of pride. I was very happy to hear this! This meant an end to this painful sight of the ruins forever. I was also very surprised. ‘Really?’, ‘What about the ghosts?’, ‘What about the bad luck?’, ‘Are people ready to move in?’, I inquired, shooting all these questions at once. ‘Yes, people are ready to move in. The government is going to provide all the support to the people who decide to live in Kuldhara village. The project will be ready in 3 years and Kuldhara village is going to be one of the best towns like everywhere else in Rajasthan,’ he said, beaming with that same expression of pride and joy. 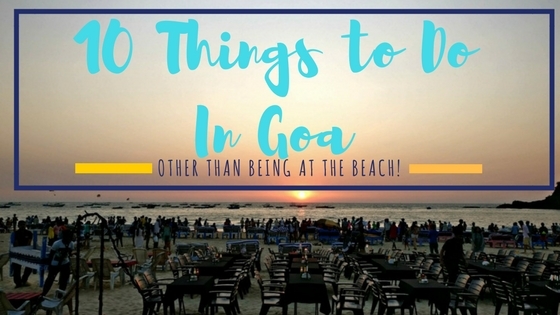 ‘This is a very good news to hear!’, I exclaimed, wondering how he managed to maintain his sanity, all that warmth and a contagious smile when the annoying scorching heat was making me sweat profusely. After clicking some pictures of the yellow rustic walls that glazed as the sun shone on them, I sat back with others in the jeep not feeling sad anymore. We call the time bygone as ‘History’, which means a thing or an event of the past. So whether it’s a victory or a tragedy, it’s all in the past. Putting them to rest and moving on is what matters, as change is the only constant and an indispensable part of our future, right? 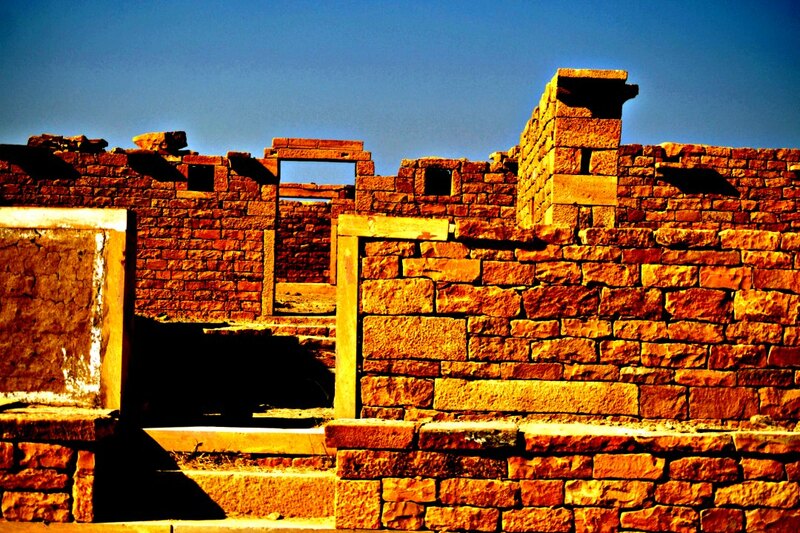 I can’t wait to go back and see Kuldhara village when it comes alive, surrounded by the majestic Thar desert in Jaisalmer. Until then, well, the past shall prevail!